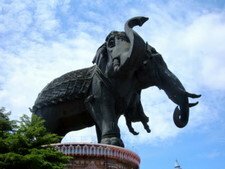 Tour Bangkok Legacies is a historical travel website on renowned places preserved for posterity, the momentous events surrounding these places and the legendary figures who left these legacies in the landscape of Bangkok. 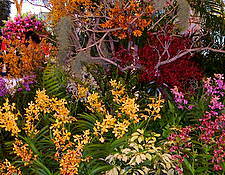 The website is designed to provide independent travelers seeking an enriching historical travel experience in Bangkok. Covered in this website is the historical background to famous homes, communities, monuments, temples, revered shrines, old churches, quaint little museums located in obscure corners of the city, even roads, old hotels and the areas these hotels are in. Convenient forms of public transportation by rail, road and river boats, with scaled maps are included with directions on how to get there. You can be your own tour guide with the help of this do-it-yourself online historical travel guide book. Our historical journey in Bangkok starts at the world-renowned luxury hotel on the banks of the Chao Phraya River. The Oriental Hotel Bangkok, is a hotel steeped in the tradition of the literary giants of the 20th century, where the guest list reads like an international Who's Who. How did all this start and who were the people who contributed to the legacy of the Oriental Bangkok? The second stop is further away from the river. 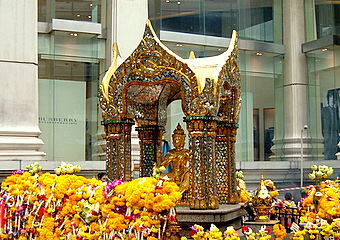 In downtown Bangkok, in a busy junction stands a shrine that draws hundreds of devotees everyday. Thais and foreigners alike pray at this shrine to seek their blessings at the Erawan Shrine. Less than a hundred metres away stands the Grand Hyatt Erawan Hotel, another luxury hotel in Bangkok. Is the "Erawan" name in the hotel just coincidence, proximity or is there more to the Erawan legend? Find out more about this in Tour Bangkok Legacies. In bustling downtown Bangkok, tucked away in two quiet sois (lanes) are the houses of two legendary figures who left their legacies in Bangkok, houses crafted in traditional Thai architecture and preserved for posterity. One of these houses belonged to a former Prime Minister of Thailand, statesman, scholar, actor and writer. The other belonged to a man with the vision to launch the famous Thai silk industry into the fashion capitals of the world. 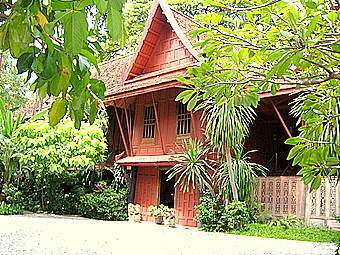 Both these houses are open to the public on a tour of Bangkok legacies. Trace the lives of the early Chinese immigrants to Bangkok and tour their cultural legacies in Yaowaraj, Chinatown Bangkok. 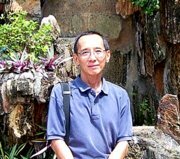 In the heart of Chinatown, is an obscure soi (lane) where a doctor, who was to change the course of Chinese history, stayed on his visit to the overseas Chinese in Bangkok. 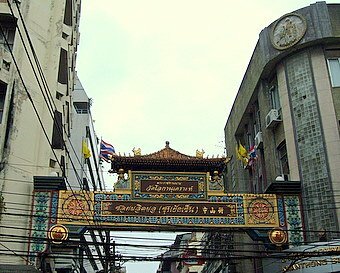 In 2004, during the Lunar New Year festival, the soi was named in his honour, leaving another landmark in Tour Bangkok Legacies. Break away from the stereotyped view of Bangkok and tour Bangkok from a different perspective. 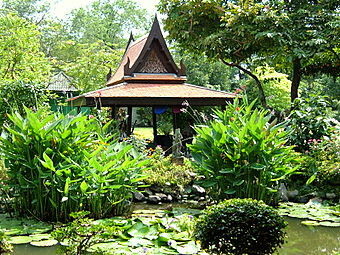 Tour Bangkok Legacies for an enriching journey through history for the first or the next time you travel to Thailand. Keep updated, subscribe to our newsletter, Bangkok Travelbug.